Whether you have the best commercial cleaning program in town or not, there are most likely details going unnoticed. In our personal lives, we have no problem taking the “dress to impress” approach. Whether for a job interview, wedding, or a big presentation at work, we will pull out all the stops when it comes to our appearance. Top to bottom: no detail goes unnoticed. But when it comes to cleaning, we don’t usually take this stance. We allow our facilities to take the Saturday morning sweatpant look, instead of being dressed to the nines. But it doesn’t have to be this way. Even if you’ve moved away from sweatpant style, don’t just settle for business casual. 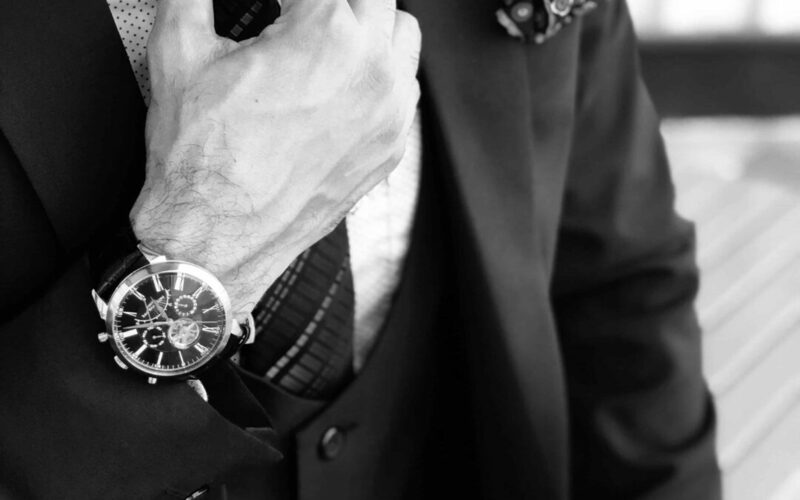 Reach for those black-tie standards and put on the jewelry, cuff links, and the expensive watch. Because the key to first impressions is in the details. Today we will address why it’s so difficult to tackle the little things and uncover the details within commercial cleaning that will elevate your facility’s style game. Moving away from the norm is painful. Seth Godin recently wrote a piece about cognitive load and how we have an inherent desire to lean toward habit and ease. In the article, he says that “DisneyWorld is a stressful place and that the occasional visitor has far less fun than you might expect. That’s because without habits, every decision requires attention. And attention is exhausting.” If the most magical place on earth can be exhausting, what chance do the rest of us have? Luckily, DisneyWorld gives us an answer. They understand the stress of what each of their sprawling parks can incite in us. So they have park maps to direct visitors throughout the kingdom. There are kiosks and cast members available at every turn to answer our questions and get us back on track. Simply put: our cleaning teams probably aren’t missing the details purposefully, like a visitor to DisneyWorld- they just need a map. We tend to throw the details at our commercial cleaning teams when we start to notice them. We say, “Hey, dusting is lacking, can you make sure you handle that?” or “Can you pay extra attention to the restrooms today?” In all honesty, that isn’t much direction. Dust where? Are you critiquing the way they’ve been cleaning the restrooms all along? Instead, give your cleaners a map that is specific and always part of their routine. For example, incorporate a list of detail duties that asks them to dust all bookshelves on Monday, all stall tops on Tuesday, and so on. Be specific and remove the guesswork. Human nature is to gravitate toward habits, so it’s important to use that to our advantage. Asking your teams to shift their focus on a dime, leads them outside of their comfort zone and will make them unsure and exhausted. Instead, create a routine for your commercial cleaning teams that incorporates the details. Create habits, not one-off duties. Not only will this keep your facility looking its best, but you will also create a team of confident and comfortable cleaners. If routine and finding a groove are what makes stress disappear, what habits should we be getting into? As I outlined above, you must be specific and eliminate the guesswork from your cleaners’ minds. In this section, we will point out the commercial cleaning details that make the biggest impact for those crucial first impressions. Easily forgotten but incredibly important. As was explained in our post, The Importance of Floor Care, newcomer’s to your facility tend to look at their feet when in new places. Baseboards are, by design, intended to add character and dimension to a space. But chances are, they’re looking scuffed up and are covered in dust. Incorporate an area of your facility’s baseboards into your commercial cleaner’s routine each new day. You don’t have to clean them ALL daily, but by making sure you are wiping a damp cloth over a new area daily, you are creating a routine that tells your cleaners, “it’s baseboard cleaning time” and pointing them in a specific direction. 90% of visitors will visit the restroom. As covered in our blog, Three Ways to Keep Your Restrooms Clean, restrooms take up the least square footage and make up most of our complaints. Instead of generalizing your teams’ duties, be incredibly specific. Stress the importance of the details to your commercial cleaning teams. Clean stall tops. Clean and polish stainless steel fixtures. Wipe beneath hand dryers. Don’t leave restroom cleanliness up to interpretation. Spell out what must be tackled daily. With expectations and habits taking the reins, your bathrooms will sparkle without exhausting your teams. If not properly maintained, vents become magnets for dust, allergens, and all sorts of grossness. When a visitor notices a dirty vent, they get a picture of what the air quality looks like in the entire building. Vents should be cleaned every week. Lumping them all into one day can be stressful, so incorporate a few each day into your cleaners’ schedules. This way you aren’t overextending your commercial cleaning staff but are still keeping your facility dressed to impress. Touched daily, but missed often. Arguably one of the most important areas to concentrate on within the commercial cleaning realm because of the ease at which germs and sickness can spread from them. However, if not included in your cleaners’ daily routine, they are very easily forgotten. When a cleaner enters a new area, if they don’t have a specific map to follow, they look at the biggest mess in each new space. Switch plates and door knobs just don’t yell “Clean me!” as loudly as a dirty desk, overflowing trash can, or messy floor. Make sure that switch plates and doorknobs are incorporated into every area of your cleaners’ task lists. These areas are a priority and should never be missed. We instinctively use them on a daily basis but new visitors are hyper-aware of everything they touch and see. A grimy doorknob is not the impression you want to make. Instead, stress the importance of these areas and make it a habit. Your visitor entrance should be the pinnacle of cleanliness and warmth. Making sure no detail goes unnoticed in these areas is, of course, important but moving beyond cleanliness, we must make sure it’s tailored to your visitors’ experience. Your visitors’ entrance should be a place that draws people in. Identifying the areas that could improve your guest’s experience will vary by facility but if you feel indifferent in the space, then how will a visitor feel? Is there clear signage? A candy dish? Does it smell good? Aside from cleanliness, we need to take the guesswork out of a visitor’s experience and make sure they feel welcome at the get-go. The key to a great first impression isn’t just being dressed well. It’s making sure that no detail has gone unnoticed. In order to do that we must make sure the little touches are a part of our daily habits instead of only an afterthought. Remove the stress from your commercial cleaner’s schedule and make sure that everything from the baseboards to the vents are the norm in their every day. If you can do that, you can rest assured that your facility is always dressed to impress.